It's a new month and I'm ready to get motivated and back on track with fitness after having the summer off. I'll be incorporating my very own Pinterest Fitness Series utilizing the resistance bands this month in addition to some pole workouts and circus physio. Check out the fun fitness August challenges below! Do you have ballerina dreams? Join our #elegantbodyballetchallenge with The Pole Ballerina @elegantjacqueline of @elegantbodypilates. Improve your grace and elegance and get entered to win some amazing prizes in the process! How do you enter? 1. Repost this image. 2. Follow your challenge sponsors @elegantjacqueline @elegantbodypilates @artistaapparel @mighty_grip @xpoleus @123poling.com_pole_tutorials 3. Post your challenge videos daily. There will be 14 moves total. Prizes: @artistaapparel- Ballet Top & Ballet Leggings (shown) @mighty_grip - A surprise goodie bag of your #1 leading grip products @xpoleus - A premium goodie bag with Xpole branded merchandise, DVDs, and more! 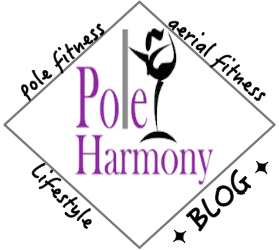 @123poling.com_pole_tutorials - A FREE one month subscription The challenge begins Monday, August 7th, so get ready! Winners will be announced Monday, August 21.